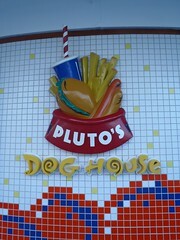 Pluto's Doghouse was our favorite place to get lunch on the ship. 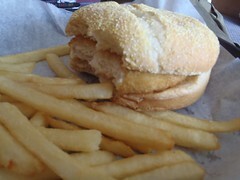 I enjoyed the veggie burgers and the fish burger was okay. 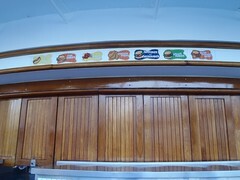 Mik liked the hot dogs and burgers. 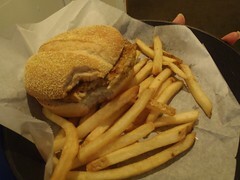 It was nice you could put what you wanted on it and how much on your own with the toppings bar.